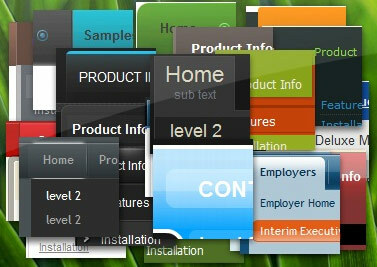 Q: I contact you because this morning we have bought a single license of your deluxe tree menu for our web site www.roderstore.com All features of tree menu work good when I try it on local computer. When I send the files on web site there is the problem that we must work on different directory : the script must be saved in a directory and the html page with menu inside is installed in another directory. We can't save the script inside the directory of html pages because there are a lot of pages that call the tree menu, in different levels of path. 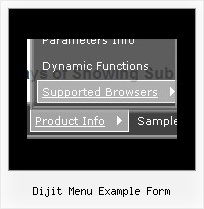 In the header of html page I have write the absolute path of script ( http://www.domain.com/menu/it/deluxe-menu.files/ ) and I have called the source of script with all absolute path. I presume that the problem is the different directory of script and html page ? Q: When I click between tabs, only one tab remains in its active state for a dhtml tab navigation. Why isn't the tab changing to look "active" to reflect the page that it's on? Please let me know where this setting is. For example, our campus portal is a site with two rows of. ... I looked at ext and dijit (Dojo) solutions for this. ... For low vision users a better approach for form feedback is to display the invalid input message below the field. ... For that matter, who does a simple popup menu work? <div dojoType="dijit.form.ComboButton" onclick="save_function"> <span>File</span > <div dojoType="dijit.Menu" id="saveMenu"
CiviCRM Forums - CiviCRM js breaks Drupal-triggered jquery plugins?